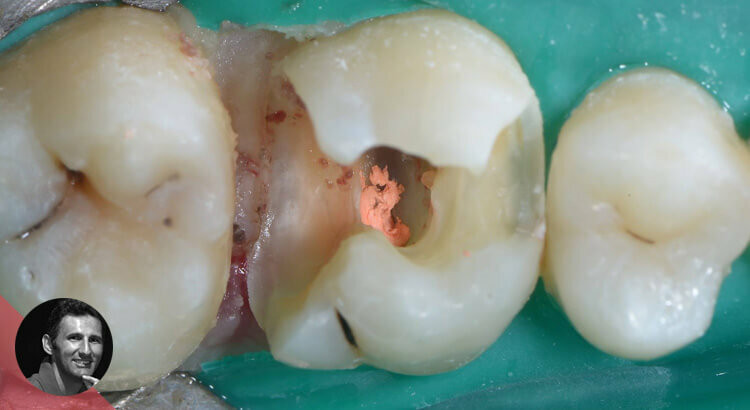 Sometimes the decay is so deep it is difficult to get a matrix down to properly seal the gingival margin. What I have done several times is use a matrix inside another matrix just for the gingival margin. An interesting case of a bad initial prosthetic choice. 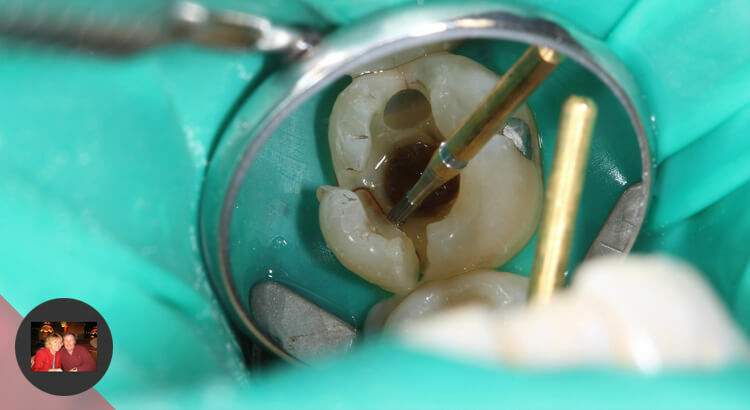 Vital incisor crowned after fracture at 18 yrs old. The neighboring incisor tooth has a thin incisal margin, a very deep palatal concavity, and a quite flat labial wall. In this case, a crown is the worst choice because you will have a problem to find the correct space for lab work. The best choice is a veneer. But now we have this problem. 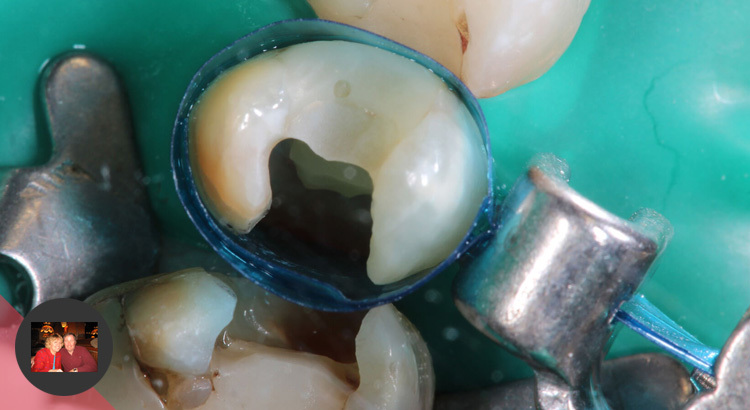 Patient presents asking for a new crown, complaining about the thickness of the current crown, chipping of the incisal edge, bleeding gums, and the difference in height between the central incisors. 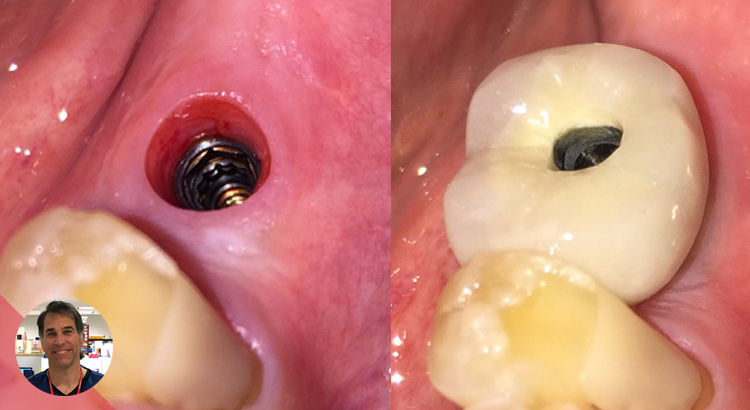 After removing the crown, there was a vertiprep with a buccal undercut, open margin, horizontal over-contouring, and invasion of soft tissues. I decided for a full adhesive veneer (little space for lab, less than 1 mm) and I decided to put my finish line by probing the healthy neighboring tooth and wait for the gums to follow my prep. After one week everything looks fine! 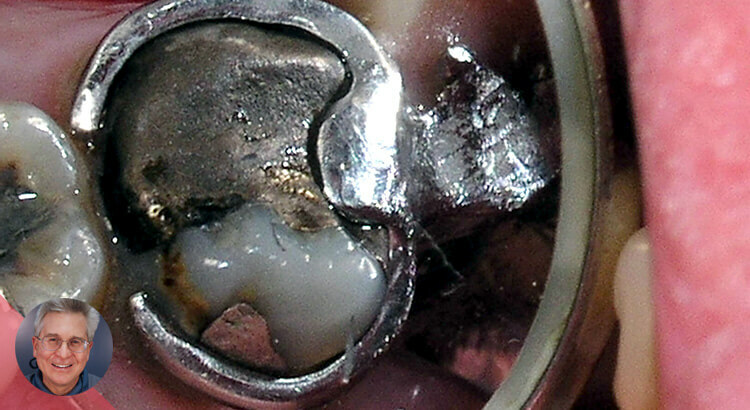 In this case report I demonstrate the importance of taking a radiograph when seating the custom abutment and crown before final torquing of the gold implant interface connecting screw. 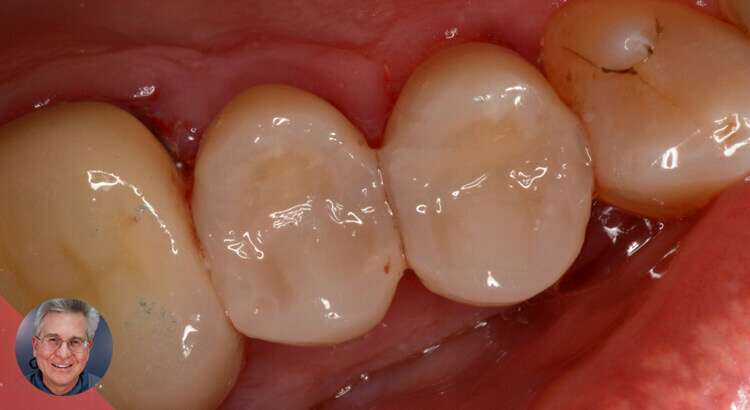 Under a rubber dam positioning marginal ridges on multiple teeth can be tenuous. 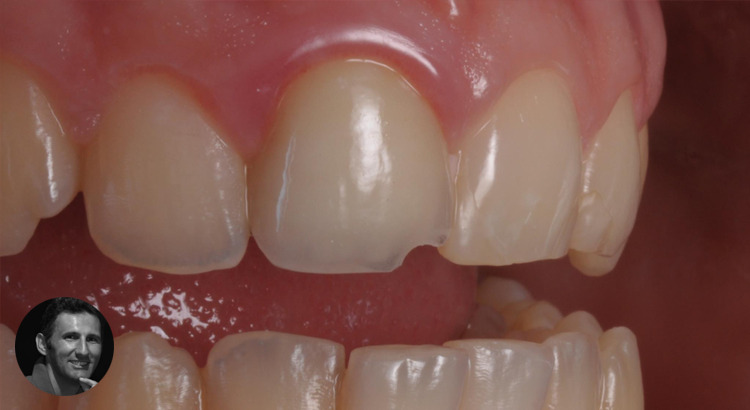 If the marginal ridges are too high there is a risk of adjusting through the contact when finalizing the occlusion. The Greater Curve system allows you to create contacts with depth. The risk of adjusting through the contact is mitigated.